Drug offenses are probably the most common type of criminal charges in Arizona Courts. Tucson, in particular, is in the middle of a significant drug corridor through which various drugs are transported to other locations throughout the country. Unfortunately, this means that a lot of people here get caught up in the drug business. 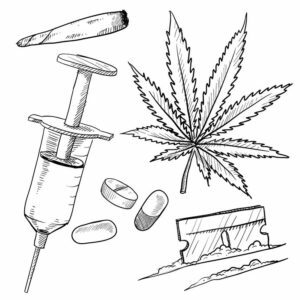 Drug offenses range from simple possession to large scale drug conspiracies. The penalties for these crimes can range from mandatory probation to life in prison. As an Tucson drug lawyer, I can tell you that one of the biggest factors in determining the type of sentence imposed, aside from your criminal history, is the quantity of drugs involved. Another factor is the type of drug involved. Crimes involving methamphetamine, for example, are subject to more severe sentences under Arizona law. The role that you play in a drug offense is also a consideration. A manager or supervisor in a drug distribution network may be treated much more harshly than a drug courier, although even a courier is likely to face stiff penalties. If weapons are used, or even possessed during a drug crime, additional charges are usually filed. There are also numerous other factors that depend on the unique facts of each case. Convictions for drug crimes in Arizona can carry heavy penalties, so it’s important to have an experienced drug lawyer representing you. 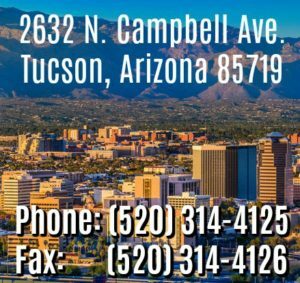 Every court and every prosecutor treats these cases slightly differently, so if you have been charged in Tucson it is important to hire a local Tucson drug lawyer who knows these differences. This knowledge will be important at every stage of a drug case: initial detention & setting conditions of release, obtaining disclosure, negotiating a potential plea agreement, filing legal motions, trial, and sentencing (if it comes to that). A host of issues can arise in cases involving drugs, but you might not recognize them without the help of a well-trained defense attorney. There are often legal issues related to improper searches and seizures that can result in the suppression of evidence or even dismissal of charges. There may also be issues regarding knowledge and ownership or control of the drugs, or issues relating to the way law enforcement handled an investigation. The defenses available depend on the facts of your case, so your attorney needs to make sure you have all the facts and that every angle is examined. If you, or someone you know, is facing drug charges in Arizona, we can help. Call for a free, confidential case assessment at 520.314.4125 or contact us online.